Let's see - a week of radiation followed by a stem cell transplant. Two weeks in the hospital. Almost two weeks home now. You know, the radiation treatments were two hours a session, twice a day, for four days. I was in and out of that claustrophobia-inducing gadget more than a drunken rabbit on a viagra overdose. Machine with which I had an intimate relationship. Then I was admitted to the hospital because I had a fever. The doctors were worried about infection. Little did I know I'd be there for two weeks. Too much time in a hospital can play tricks on your mind. For example, I kept wanting to call the disembodied voice at the other end of the call-button "Base Commander". Must have been the drugs - or that I'd loaded up on several seasons of Battlestar Galactica before my stay. I resisted the urge. And I loved it when the nurse would come around at 11pm after I'd fallen into a deep sleep at 8pm to tell me "Time to wake up and take your sleeping pills." The weirdest thing that happened had to do with a little case of constipation. The nurse gave me some "special" pills and told me "We're gonna give you a hat that we want you to use when you go to the bathroom". And I thought, "Now why would I wear a hat sitting on the toilet?" Turns out this is a clear plastic affair that sits on the back of the bowel to catch your "sample". Hospitals love samples: blood samples, urine samples and, yes, pooh samples. After several days, victory was mine. And I was able to push that call-button and proudly announce, "Base Commander, I have pooped in your hat!" There are no rules to this little exercise. Participants are in for the long haul, a half haul or a day here and there. I tried my best to keep track of who's in on this but after a couple of days gave up. Already Unfinished Person has dropped out. I imagine there will be more. So what I suggest you do is visit her at We Work For Cheese and check out her linky-dinky thingy to see who's in from day to day. Hey, don't forget to check out this week's pic in "Pause Ponder and Pun" today over on my other blog, dufus daze. That is pressure. And I have nothing form personal experience to compare to what you went through. Except maybe the constipation. But I didn't go in a hat. Oh, you haven't lived until you've pooped in a hat! You have to wonder who was the fool that first called that thing a hat?!? Was it some drunken hospital party where everyone ended up wearing them as party hats to go with their fashionable masks and gloves? Well I hope they donned them before the patients used them. Otherwise that would really give new meaning to the expression "poopy head". 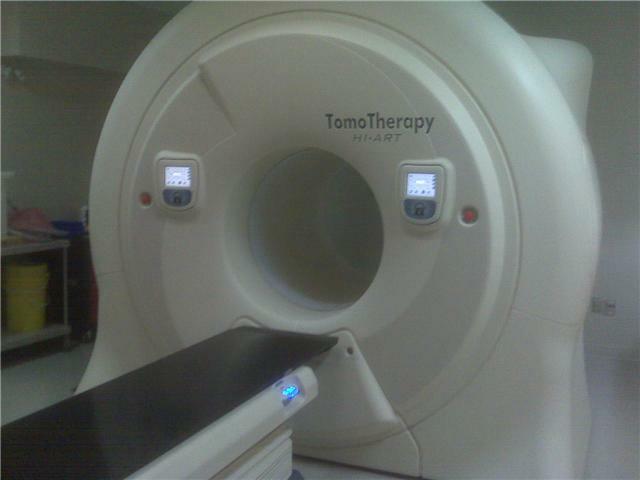 I cannot even imagine the kind of pressure you went through going through radiation. I have had close family members who have gone through it and I was humbled by their strength. Congratulations on making it through!!!! Oh my! I'm glad you came through that awful experience. I'm also glad you managed to poop in the hat, eventually! This cracked me up. Of course it wasn't funny at the time but I'm so happy that you can look back at it with laughter and joking. You've been through so much and you've kept your sense of humor all the while. I really do admire you. Isn't humour what truly helps when life gives us moments that are soooo un-humourous. It takes a unique person to see the humour in such a trying situation. Sorta reminds me of Patch Adams. 'Tis a good thing you didn't wear the hat... um... after, eh? You have my sympathy in that situation. Although your telling of it was so funny, I'm sure it was anything but funny. Life provides some great material, especially when taken in stride. Good one! It wasn't so bad. My doctor told me I was the poster boy for getting through it in relatively good shape. Oh, listen, pooping in the hat was what it was all about. Once I managed that the rest just flowed wonderfully, as it were. Actually it was kind of funny at the time. My wife and I laughed and laughed over the things I imagined while on some of those drugs. This was the second time I went through a stem cell transplant. I knew if I couldn't laugh about this I'd surely lose it. Heck this is what life throws at us. You've got to deal with it. As my wife says, "Think of the alternative." Um, yeah. But then I didn't have any hair to worry about anyway. It was funny then. But it's a lot funnier now, looking back on it. Priceless, Linda. Loved your comment. My work here is done. I loved that you called her "Base Commander." And I admire the poop out of you for being able to get inside that machine so often without going nuts and flinging your poop. Ha, ha, ha! Love this, Dufus! Hospitals are not a fun place, but are made more bearable with a sense of humor! You excelled on this one! I see that you've never corrected, "bowel". The image of that the first time around had me howling. Heh, heh. Thankfully you are past all of that (right)? Those sessions of radiation were quite something. I had to lie still for two hours. It was so difficult not to move for that length of time. I just had to think happy thoughts. Laughing over this was really the only way to get through it. Oh, geez, that should read "bowl". Good catch. Past it? I'm doing chemo weekly, but everything's good these days. *Snort* You're a funny guy, my friend. 500 points for making me laugh. And an extra hundred for calling her "Base Commander". Too funny! Oh my gosh! Shaking my head and laughing... I bet you made their day. Nurses are NOT paid enough in my book. A friend of mine worked as a nurse at an old folks home. She said this one lady PURPOSELY pooped on her all the time during sponge baths, then laughed. Not nearly as polite as you pooping in a hat! Woah, I hit the motherlode...of points. Thanks Nicky. Tell me about it. I worked as an orderly in a terminal care facility while going to high school. I remember some truly strange - and poopy - occurrences. holy hell, this is hilarious AND awful! It was awful. But thank God I saw the humour in it. I mean I had to. Otherwise I don't think I'd have made it through. And if I'd moan about the treatment my wife would say "It's not so bad, considering the alternative". And that would put me back on the right track.